Villa and Sons Construction, Inc.
J & J Concrete Foundations, Inc. Comment: 450 sq existing 2nd story floor that I need leveled for glue down wood flooring installation. Has some low spots. First estimate said about 10 bags needed. Comment: The front walkway of the house and steps need to be repaired. It appears the grout work was not done properly. As such the grout needs to be removed in some areas and patched. Bedford Hills Concrete Contractors are rated 4.79 out of 5 based on 817 reviews of 45 pros. 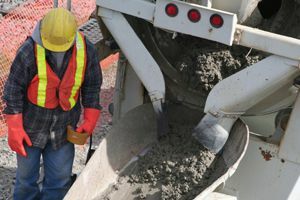 Not Looking for Concrete Contractors in Bedford Hills, NY?